Nearly a century ago, we committed to making only the highest quality honey. How would we guarantee it? By putting our beekeepers in charge. We’ve been making pure, U.S.A. co-op honey trusted by American families everywhere ever since. From classic Sue Bee to unfiltered Aunt Sue’s, we have a honey for every preference and use. For nearly a century Sue Bee Honey has been a mainstay for American families. 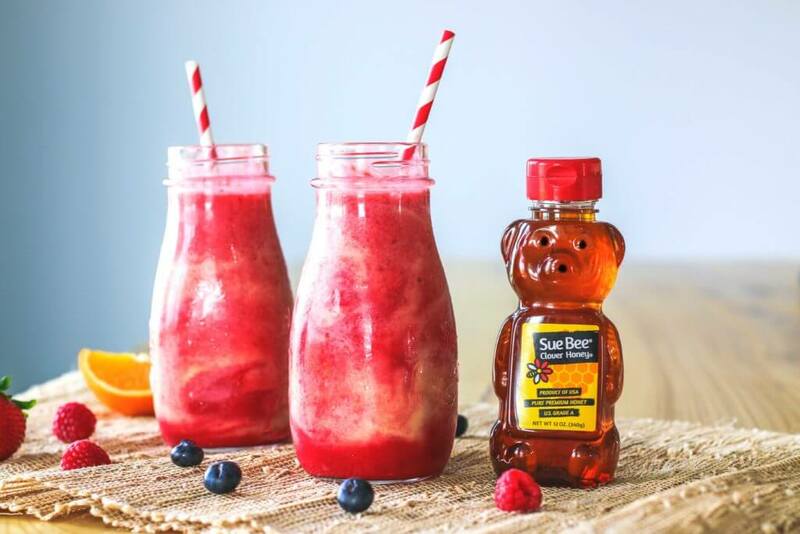 Gently filtered to remove hive debris and prevent granulation, Sue Bee is pure, golden U.S.A. honey. As it’s been since 1921, as it always will be. 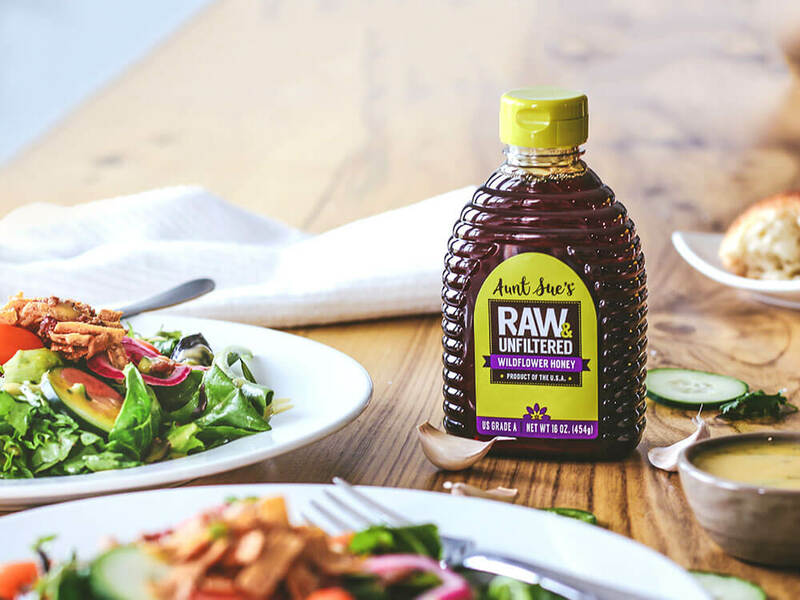 Bold, flavorful and unfiltered – that’s Aunt Sue’s Raw & Unfiltered Honey. Our unique straining process allows natural pollen to remain in the honey and creates a more flavorful experience. Like to keep it local? Beek’s Local Raw Honey is your honey. Each bottle features one of our local, California co-op beekeepers and is filled to the brim with California honey. Blossomology Honey is handpicked to meet strict organic regulations and our own high standards. 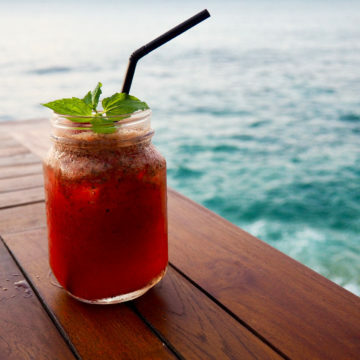 It’s certified organic by QAI and brought to you by the hardworking bees and beautiful flowers of Brazil. If you have questions, we have answers. What do you want to know about our honey? What's the difference between the types of honey Sioux Honey makes? Sioux Honey Association Co-op has four brands of pure, premium honey, so there’s something for everyone. Sue Bee Honey is our classic clover honey. 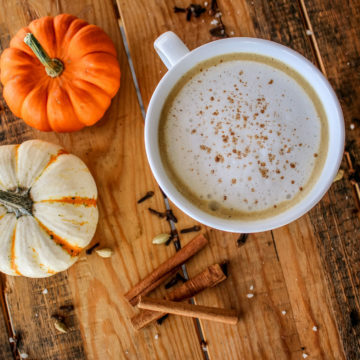 It’s filtered to a smooth perfection and has been a staple since 1921. And now we offer a Sue Bee Raw Honey, as well. Aunt Sue’s Raw & Unfiltered Honey is exactly as described – raw and unfiltered. 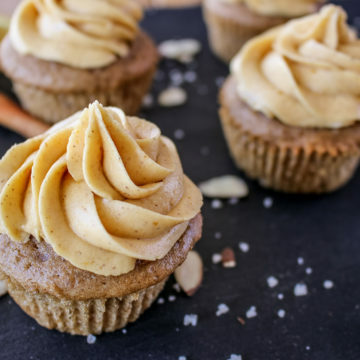 Available in wildflower or clover, Aunt Sue’s offers bold flavors and the benefits of natural pollen. 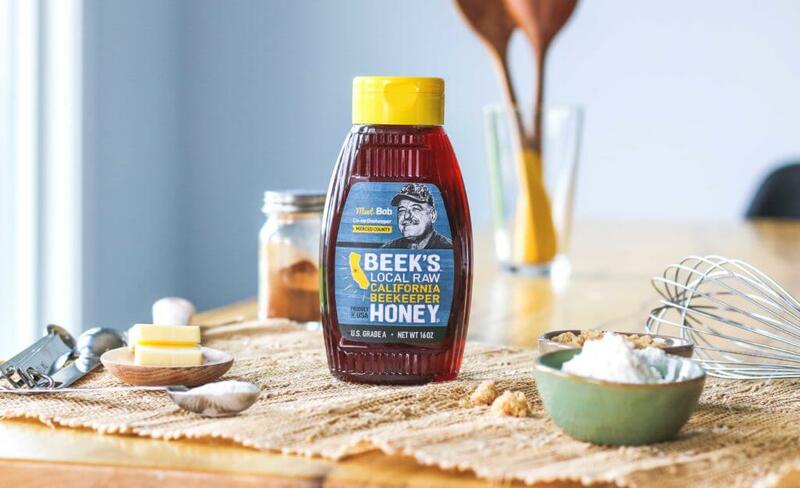 Beek’s Local Raw Honey is sweet, raw and filled to the brim with local honey from some of our most passionate California beekeepers. 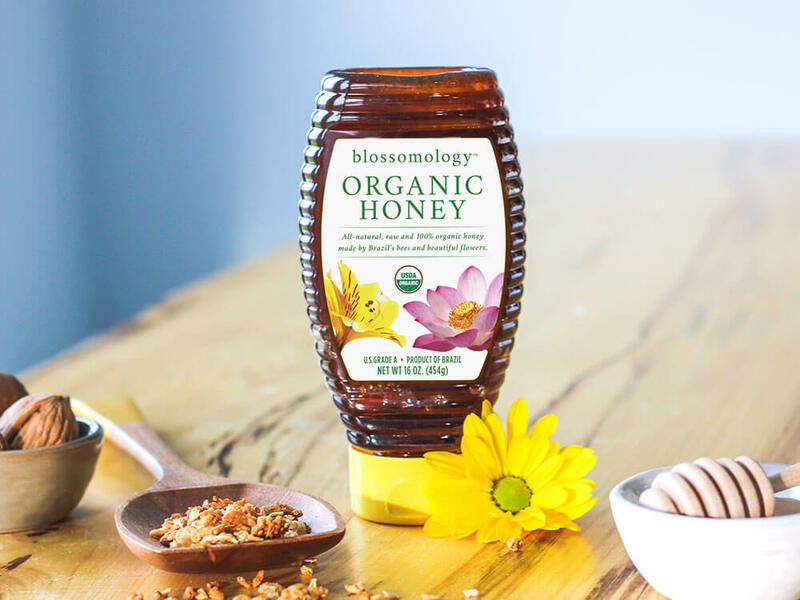 Blossomology Organic Honey is our certified-organic honey made by the hardworking bees and beautiful, fragrant flowers of Brazil. Where does Sioux Honey Association Co-op honey come from? Our honey comes directly from our co-op of 250+ independent beekeepers – all of whom we know by name. Because we believe it’s not just where your honey comes from that matters, it’s who. And each of those beekeepers is passionate about providing the highest-quality honey for our Sioux Honey consumers. Honey is best kept in a sealed container at room temperature. Refrigeration preserves honey very well but also promotes granulation, yielding a semi-solid mass. Freezing, on the other hand, preserves honey well and does not promote granulation, but makes dispensing difficult. Avoid temperatures above room temperature because they promote the darkening of the honey, along with subtle flavor changes.